Marcus Shakesheff is an elite stuntman, stunt and fight coordinator and actor … when the star of a film or television production is about to do something dangerous on screen in comes Shakesheff to take the fall, the punch or suffer the consequences of a car crash (Christoph Waltz, Kiefer Sutherland, Jesse Eisenberg, etc. have all been covered by Shakesheff). 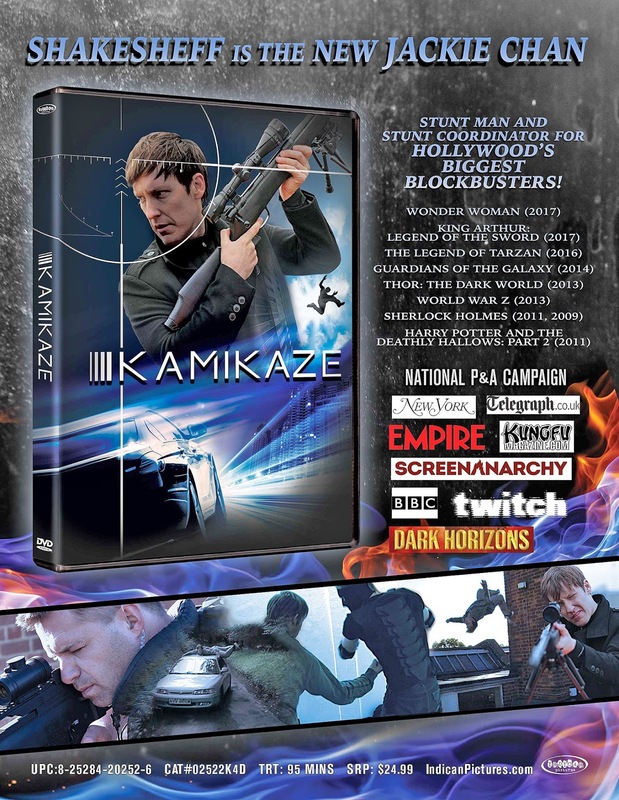 Word arrived this past week from Indican Pictures that this A-list stunt artist will be making his feature-length directorial debut with the DVD release of Kamikaze. 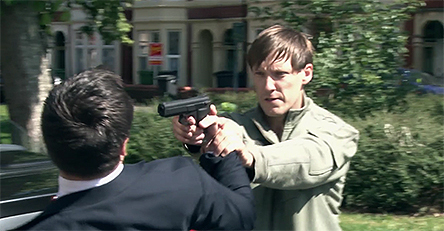 And yes, you’ve probably already guessed that the stunt artist in this high-octane action flick is none other than Mr. Shakesheff … who also has the leading role. In the trade he is — as a result of this assignment — known euphemistically as a “loose end.” Turn over the damning evidence will be the end of him … he will simply disappear and he knows it. When the moment of truth arrives, his “employers” know that they will need a bit of leverage to get Reed to complete the mission. 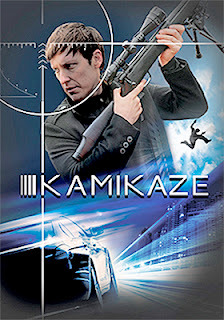 Why would you be willing do to something that means your death … that’s suicide; a “Kamikaze” mission. This “leverage” comes in the form of taking his pregnant girlfriend, Jess (played by French beauty, Claire Carreno — The Exorcism of Anna Ecklund, Curse of the Witch's Doll and the forthcoming summer release of Jurassic Predator), hostage. There’s your set up. Mercenary, high-valued computer files and a beautiful hostage … what follows is literally non-stop stunt and parkour action. Judging from the action, Shakesheff called in favors from the stunt community and in the process lined-up a cast of villains with skills that will leave action fans panting for more … more … more!!! Kamikaze has it all … death-defying non-stop action!